Home / Local / Showbiz / Silipin Dito ang Litrato Ng Mga Kapatid ni Daniel Padilla kay Karla Estrada! One of the most prestigious actors in this generation is Daniel Padilla. 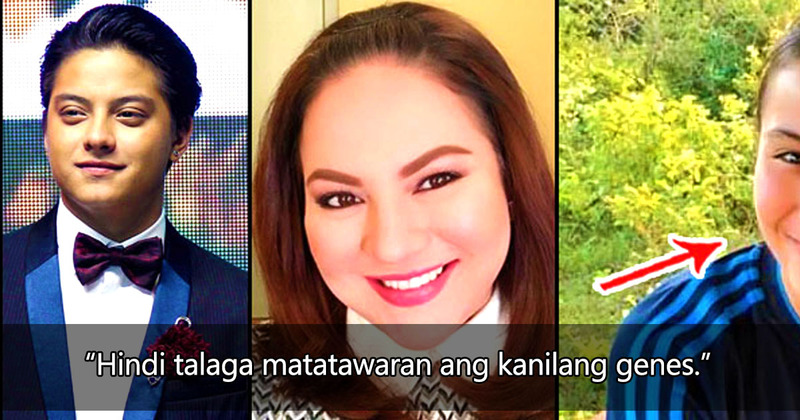 Everyone knows the Padilla name, and her mother Karla Estrada is also very famous for being a singer and TV host. Another thing that's very commendable about Karla is that she was able to provide her children a good life, even though she ended up being a single mother. And also remember-- Daniel is not a single child! Did that surprise you? If it did, here's a treat for you. Today, you will meet Daniel Padilla's equally good looking siblings! Daniel has a younger brother named JC Padilla. He is a little less prominent than his brother, but that is not to say that he is not excellent and admirable in his own way. He recently graduated with a degree in Business Administration in Mapua University. He is the son of Naldy Padilla, the lead singer of the band Orient Pearl. Carmela Ford Tenorio is another one of Daniel's siblings. She is affectionately called 'Lelay' by the family. She is Karla's youngest daughter and is the most adorable of them all. Everyone in the family is proud of her! Margaret Ford Planas is another daughter of Karla's! She is one young girl that everyone's waiting to enter showbiz, because of her gorgeous looks! So there you have it guys, those are the siblings of Daniel Padilla we should be watching out for! They are all out there, conquering the world as we speak, just like their brother! Going back to Karla, don't you think it's really amazing how she was able to raise all these children all on her own! This just goes to show that woman power is really incredible. See, all her children are growing up to be amazing, formidable human beings, with amazing manners and good graces.